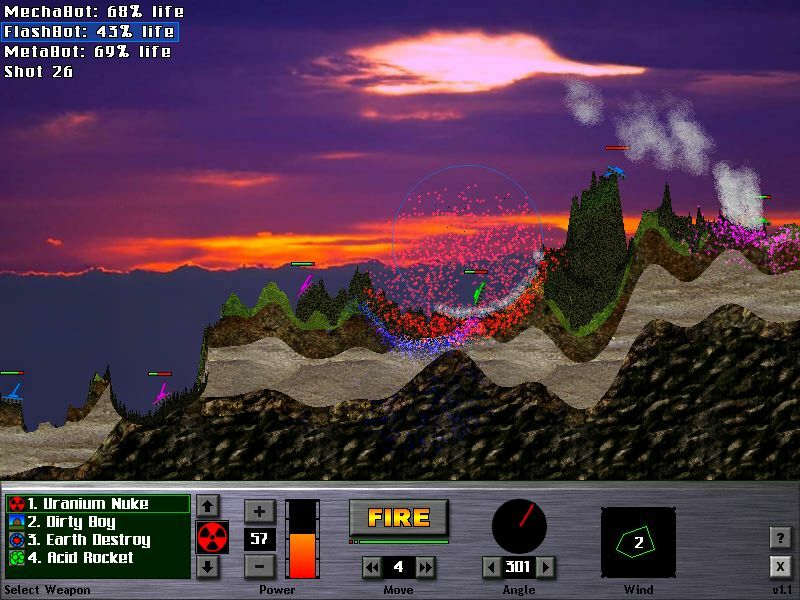 "Lead teams of atomic cannons to victory and control powerful weapons in this simple yet addictive game." Have fun battling with friends or computers using teams of small tanks! This fun arcade game is easy to learn but difficult to master. 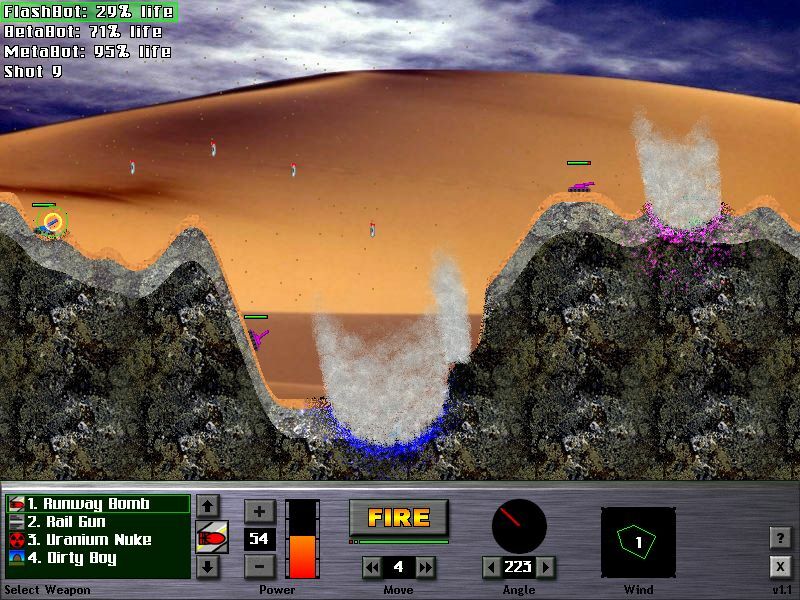 It features over 50 powerful weapons and 25 unique landscapes to wage war on. 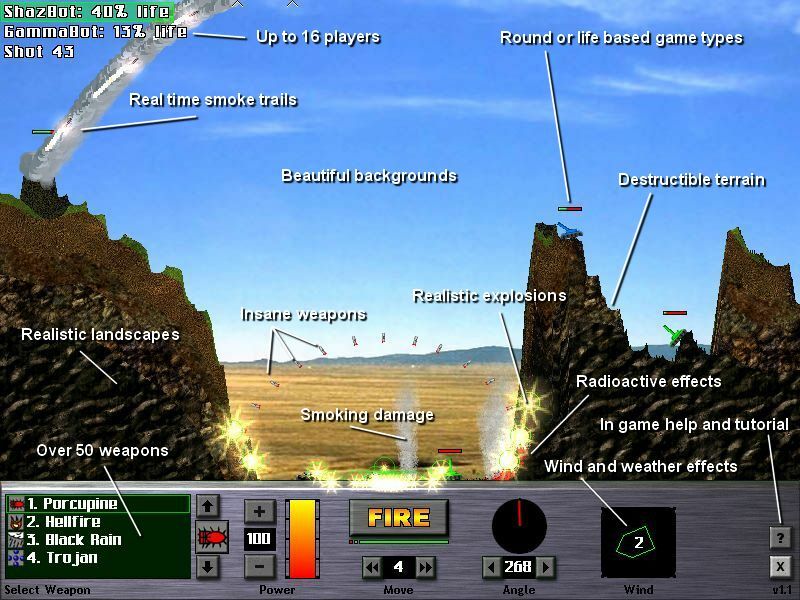 Additional features include death match and round based game modes, multiplayer mode with up to 16 players, scrollable landscapes, real time smoke trails, weather effects, real physics, and five music tracks. Over 50 of the biggest weapons. Beautiful scenery with 25 realistic landscapes. 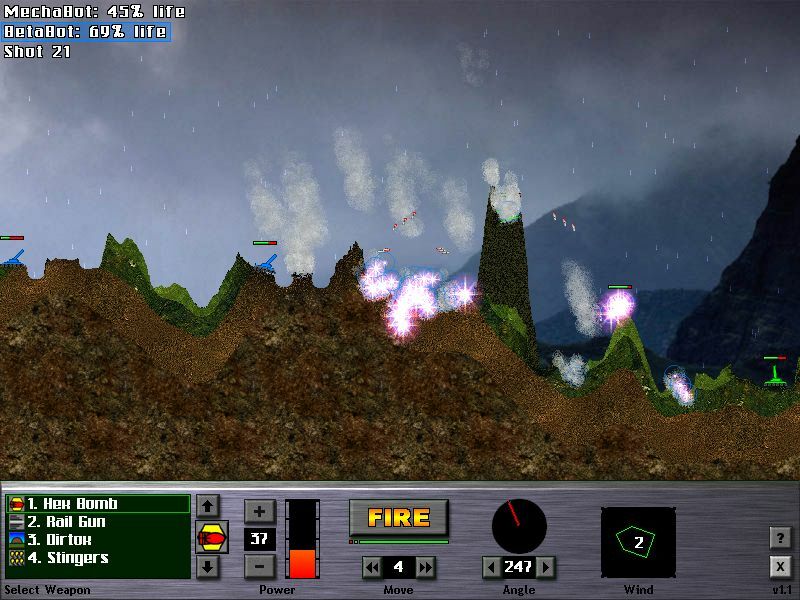 Enhanced graphics with real time smoke trails. Smooth game play with real physics. Weather effects which react to the wind. Battle against computer artificial intelligence. Multiplayer mode to show your friends who is boss. Death match and round based game modes. Up to 16 players with 5 tanks each. Radioactive effects with damage over time. Ultra crisp sound effects, Kicking music tracks. Super small install size, keep it on your computer. Bud Redhead: The Time Chase - A teenager who has a mission to save his girlfriend Rachel from the claws of a big, bad alien! Bud Redhead The Time Chase Mad you! Funny Bubbles - Funny Bust A Move style game. Alienoid - Alienoid With alien spaceships, black holes, gravity balls, more than 50 different bricks and 21 powerups.